Hi Jeorg, You have the most amazing collections. have you collected from childhood as a hobby or has it become a business now too? 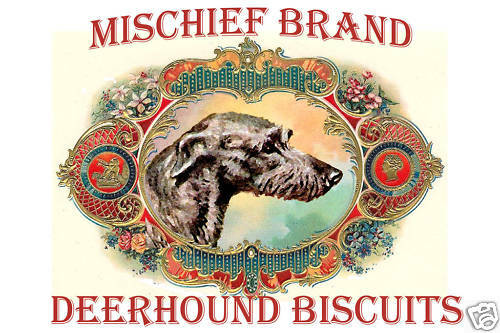 I love all the deerhound related items - love the Deerhound at work sign!!! The collect is my great hobby from childhood. But my collections over the "dogs" are all privately. Cassandra , any idea what type of biscuits they are/were ? Many thanks for your message and your questions. 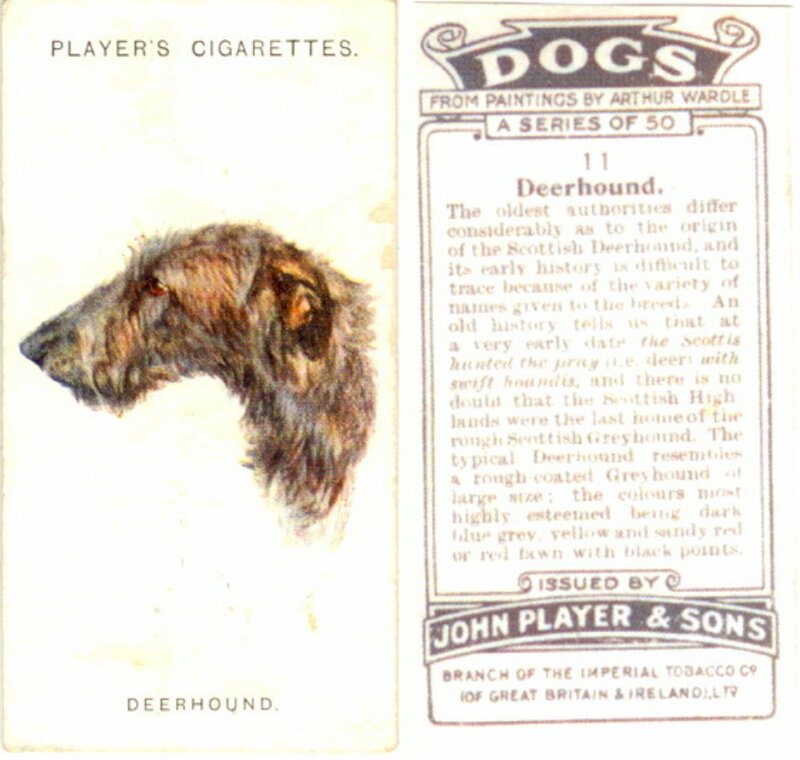 The cigarette card beginning in 1875. The first cards depicting actresses, baseball players, Indian chiefs, and boxers were issued by the US-based Allen and Ginter tobacco company. In the UK was W.D. & H.O. 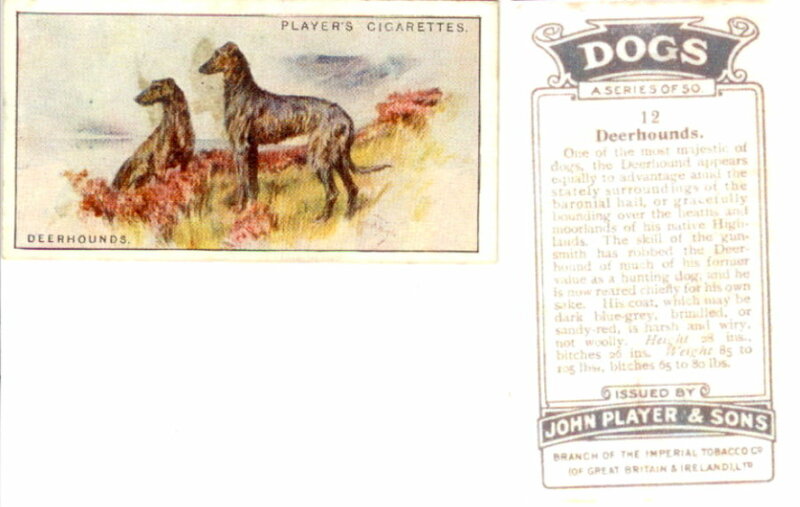 Wills in 1887 were one of the first companies to include advertising cards with their cigarettes, but it was John Player & Sons in 1893 that produced one of the first general. Each set of cards typically consisted of 25 or 50 or 100 related subjects. Popular themes were famous actresses, film stars and models, sporters (baseball, football and cricket), nature (Dogs also), military heroes and uniforms, heraldry and city views. Thanks so much for this Jeorg - really interesting stuff. Think I'd like to collect the Indian chiefs and the military heroes, since as far as I can tell you've got all the dog ones already! The link to the card site is awesome, really gives a good idea of the hobby. I now recall from my youth that kids used to collect bubblegum cards but it was more of a boy thing. Can't remember what was on the cards! Wait, baseball players. I was wondering how your wife put up with all of this collecting and was most amused to see that she has her own collector's business in model cars. Perfect. 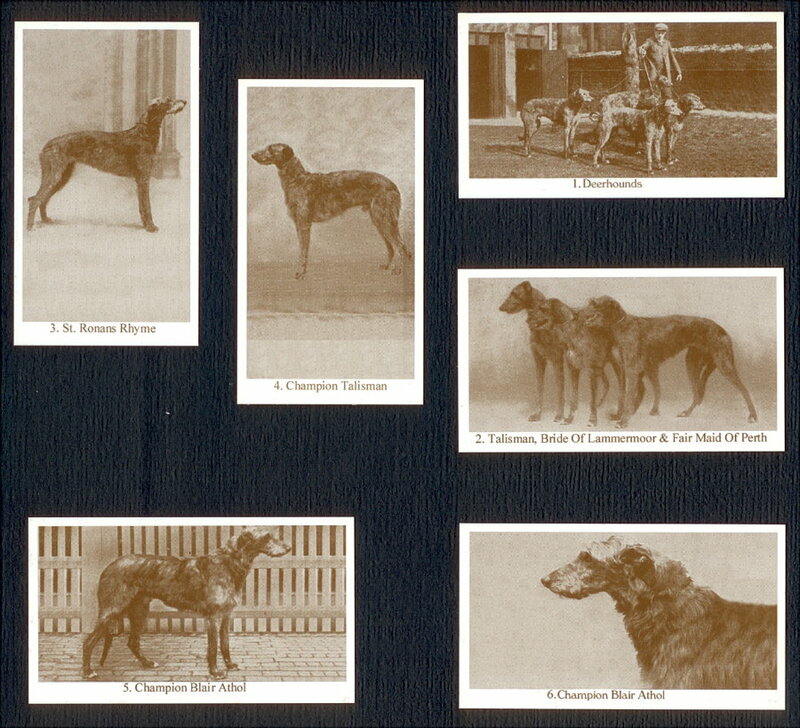 Perhaps you will next consider collecting deerhound brothers and sisters for Yoki! Cassandra, wouldn't we all love to have those biscuits and that funny sign for our gardens? Lovely biscuit pic and deerhound at work Cassandra. Where did you find it? I think thats Yoki can become a DH sister in 2 -3 years. One our two Greyhounds (Tracy) is 8 and our last Poodle is over 14 years old. My Yoki play with the 2 Greyhounds wonderful. 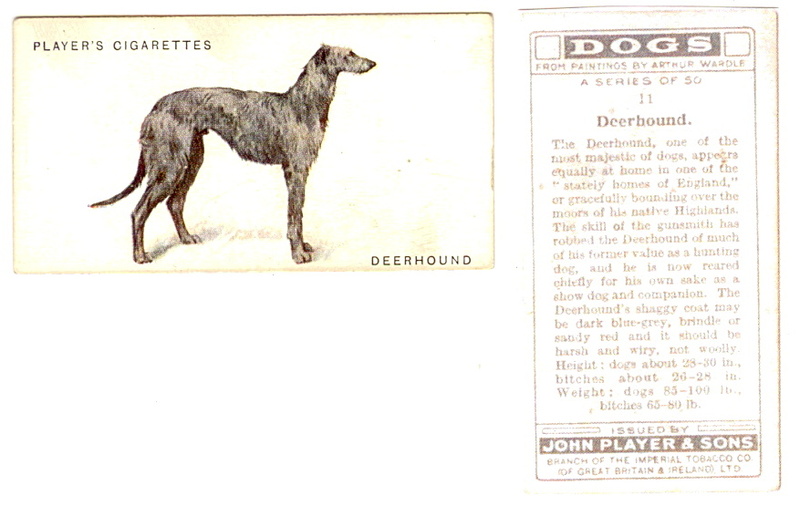 Don't konw if anyone is interested , found this cigarette card for sale on E-bay. Many thanks for the Link to the auction with the card. A have scan today more cards from my collection. A another card from my collection. Many thanks for your interest on the collecting. This are 6 small photo cards from my collection. I have 2 "new" advertising cards in my collection. Last Edit: 8 years 11 months ago by Joerg Yoki. This is the second "new" card from my collection. 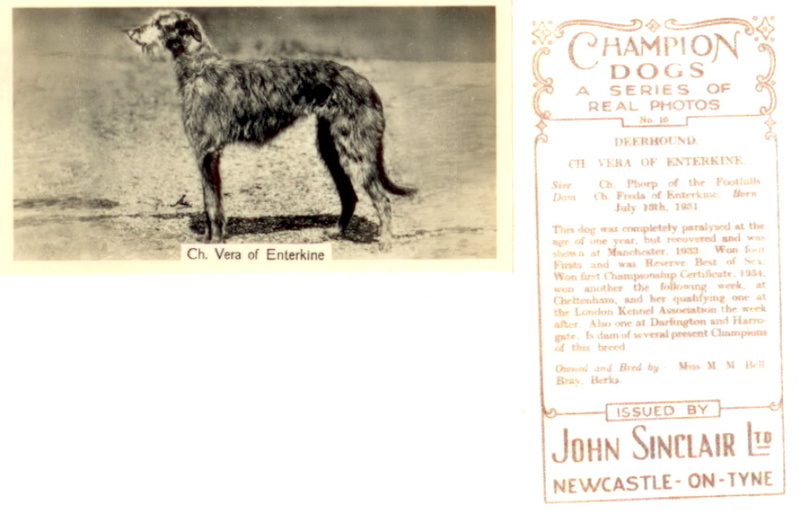 Thanks for all these Deerhound collectable postings Joerg (and Yoki ), you must have a large collection. Last Edit: 8 years 11 months ago by Robb. Thank you for your interest on the card collection. 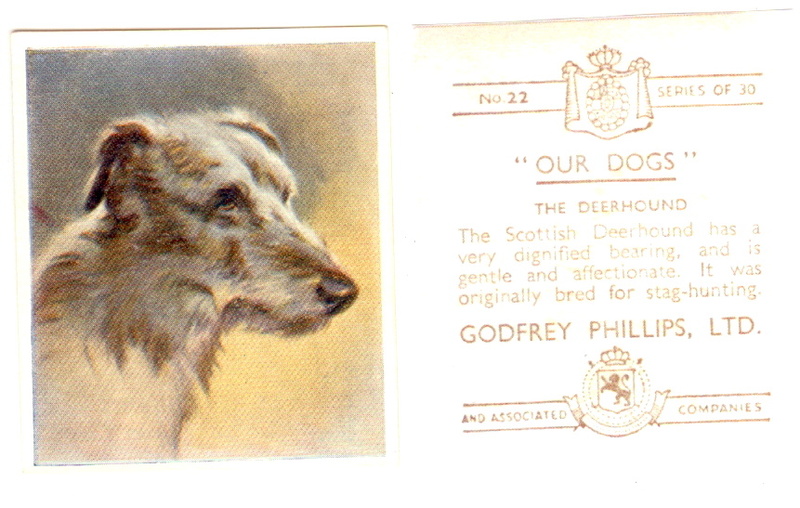 Yes, the special collection over Deerhounds get bigger from time to time.